ANYA, a powerful telepath, always believed she worked for the good guys–the organization that created her, trained her, and turned her into the ultimate weapon. Her most recent assignment: to assassinate the head of a group of mercenaries. 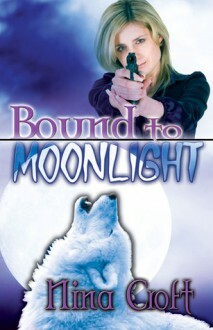 The very man she believes is responsible for the death of her sister.Investigating the disappearance of three pack members, Alpha werewolf SEBASTIAN QUINN finds himself under scrutiny of a deadly group, The Agency. Caught in their cross-hairs he must now fight to save his own life.Captured and held by the charismatic werewolf, Anya feels the stirrings of passion. For the first time there is something beyond duty. Now she is faced with a choice — complete her assigned mission or risk everything she has ever known for a chance at love.